In less that five full racing seasons Andrew Dale has now trained 50 winners. Dale celebrated a half-century of wins when Hurricane Jack saluted at Ardlethan last Saturday. The feat came in the 395th start by an ADR-trained horse and was almost four years to the day since Dale posted his first career victory with Itsmycall back on March 27, 2015. 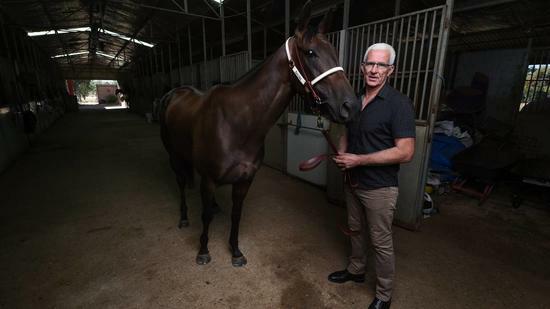 With a strike rate of 12 per cent, Dale has now claimed more than $750,000 in prize money. Forty-three of Dale’s wins have come in NSW Country races while Albury, the site of his first win, is where he’s had the most success, enjoying eight victories at the venue. Dale has also won at Corowa on seven occasions and has five wins at Berrigan in just 14 starts. The former football coach said 50 wins was an achievement he was proud to reach. “I guess after your first win it’s the next big milestone,” Dale said. “We’ve proven over a short time that we can consistently train winners and because of that we’ve got big goals moving forward. Dale will look to add to his win tally tomorrow with Eric the Axe, French Politician and Gagosian all in action at Wodonga. The stable’s next victory will tie last year’s career best mark of 14 wins in a single season.